Save the date! Amsterdam mind and brain symposium! 28 juni 2019! 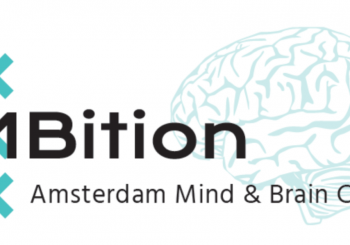 We are very proud to present to you AMBition: the Amsterdam mind and brain coalition! AMBition is a coalition of four leading neuroscience research institutes: § Netherlands institute for neuroscience (NIN) § VU § UvA § Amsterdam UMC aimed at building sustainable bridges between Amsterdam’s top research groups in the fields of brain and mind research. With the launch of AMBition, Amsterdam’s international visibility as an attractive and inspiring centre for mind and brain research will grow greatly, pushing Amsterdam in joining the league of worldwide leading institutes in this field. AMBition will bring researchers together and allow collaborative initiatives to grow into strong competitive research programs. Collaboration will increase our critical mass, join forces and share the costs of expensive infrastructure, such as high-field MR scanners. As a result, our scientists can rapidly adopt new techniques and stay ahead of the fast developments in the field. It will enable us to perform research at the frontiers of knowledge and enhance both quality and quantity of neuroscience and cognitive research in Amsterdam. Save this date! Additional information will follow soon.